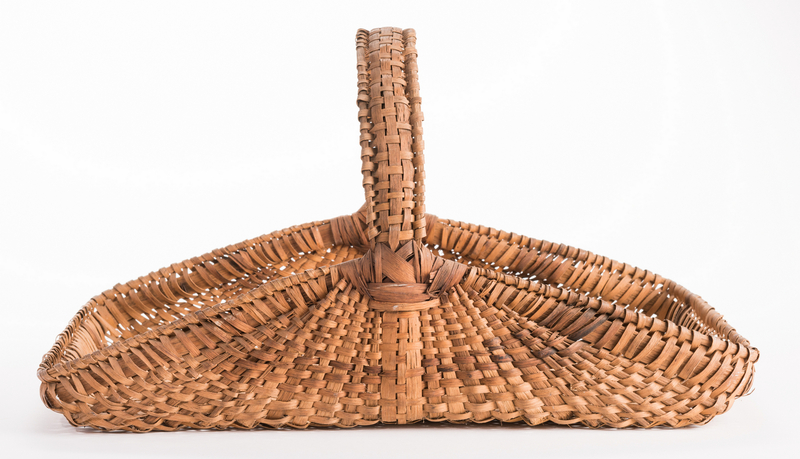 Group of six (6) various Southern split oak baskets. 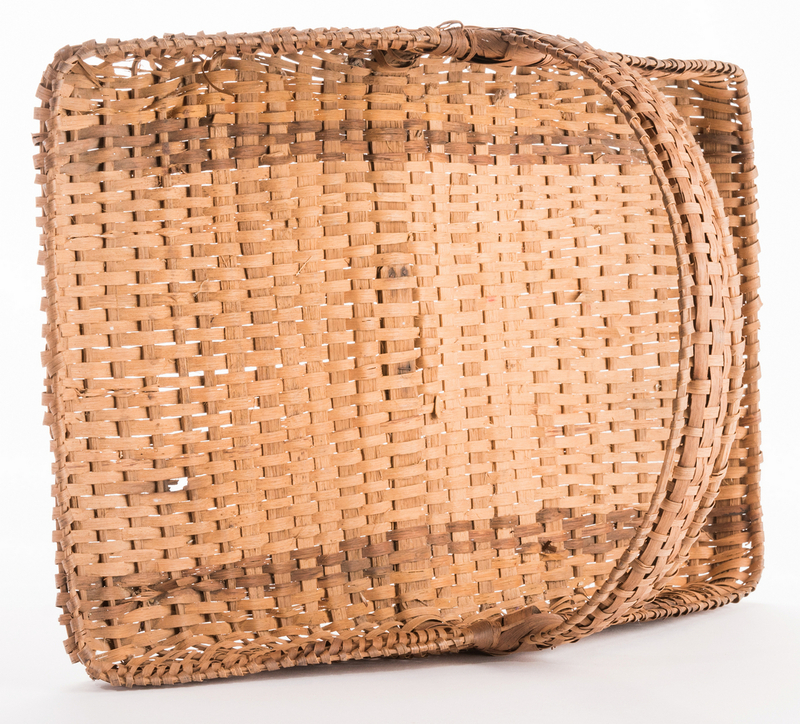 1st item: Unusual carrying basket with top and bottom woven rims, 1-1/2" W woven handle and dark stained weavers. 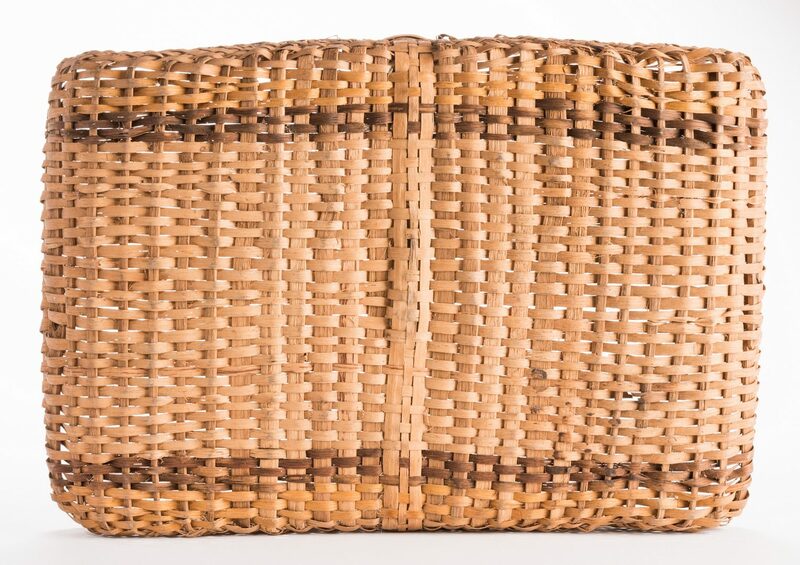 10" H x 10" W x 6" D. 2nd item: Large flower carrying basket with dark stained weavers , 13-1/2" H x 23" L x 16" W. 3rd item: Storage basket with two bands of dark stained weavers, 5-1/2" H x 6-1/4" dia. 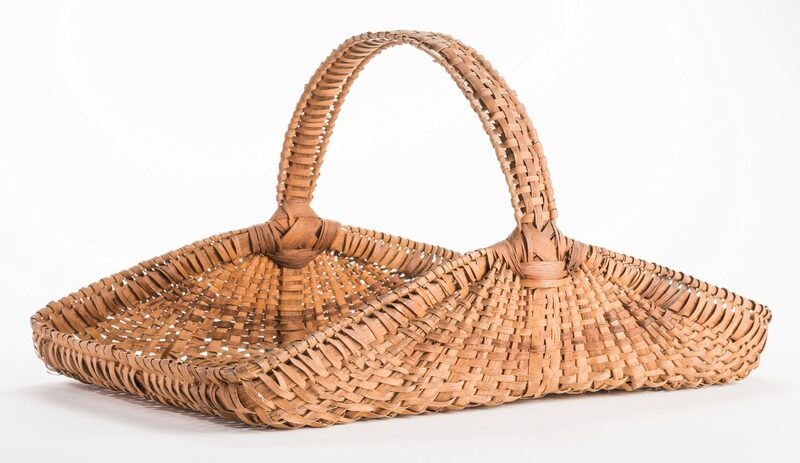 4th item: Medium carrying basket, with split oak handle, 11-1/2" H x 18-1/2" L x 10-1/2" W. 5th item: Wall pocket basket with split oak handle, 10" H x 12-1/2" W x 5" D. 6th iem: Wall pocket flower basket with stained weavers painted with blue, orange and green color, 22-1/2" L x 5-1/2" W x 3-7/8" D. All late 19th/early 20th century. CONDITION: All in very good condition with minor surface grime. 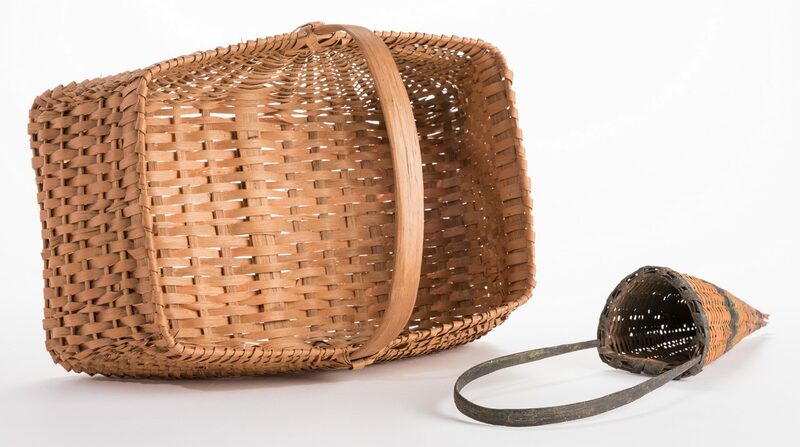 Flower carrying basket with two breaks to weavers. 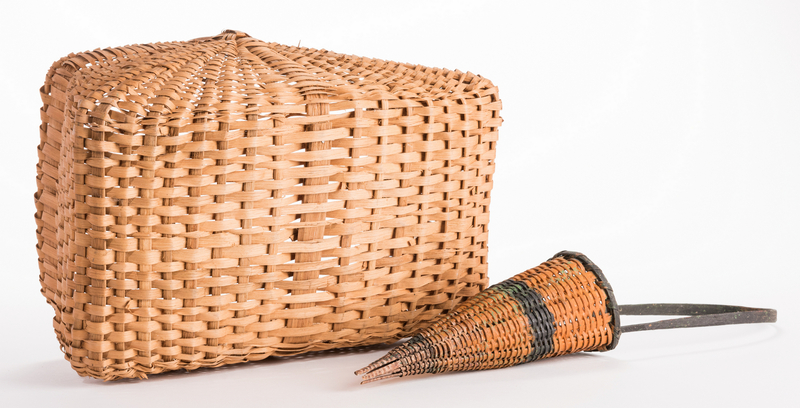 Wall pocket flower basket with possible breaks to end points.